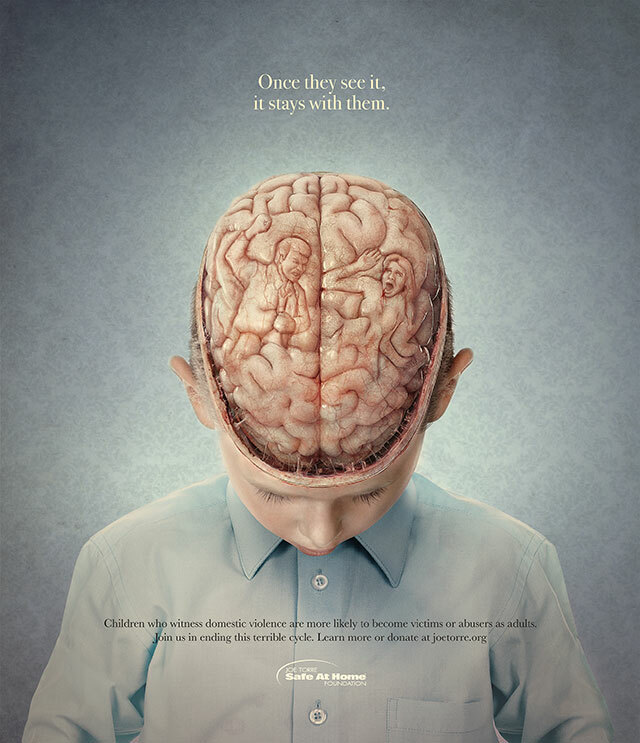 A series of arresting new print ads show how domestic violence can leave a lasting, unseen mark on the children who witness it. 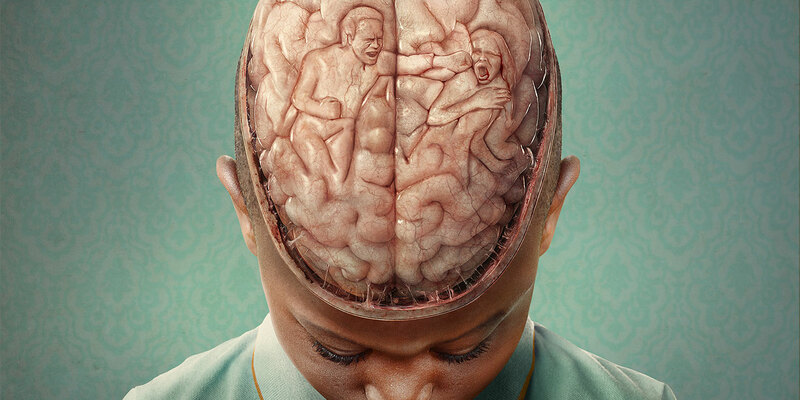 Each of three images features the top of a kid’s head. Instead of hair, or skin, the skull has been stripped away to reveal a brain. There, etched into the folds, are the outlines of a man attacking a woman. “Once they see it, it stays with them,” reads one. 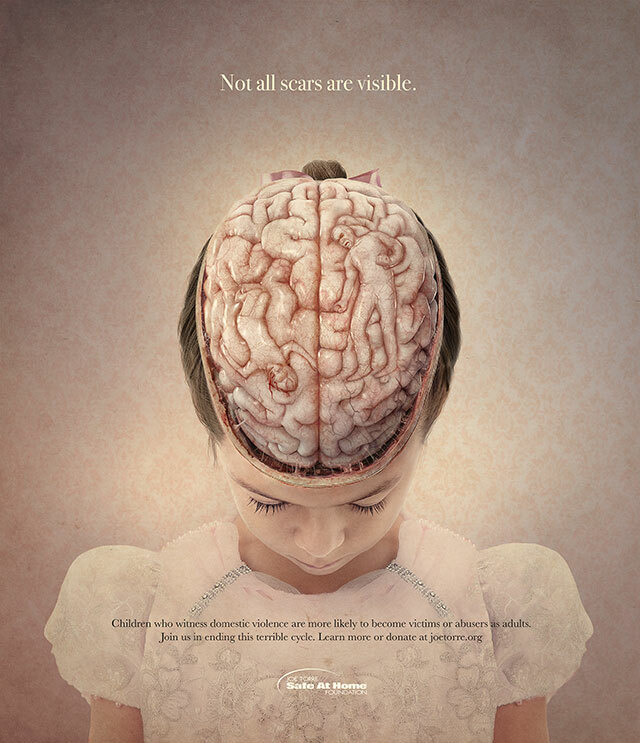 “Not all scars are visible,” says a second. “Some injuries never heal,” says the third. All three promote the nonprofit Joe Torre Safe At Home Foundation, created by the former Yankees manager and his wife to help battle the long-term effects of domestic abuse through education, awareness and in-school services for children impacted by violence. Gyro created the campaign pro bono. 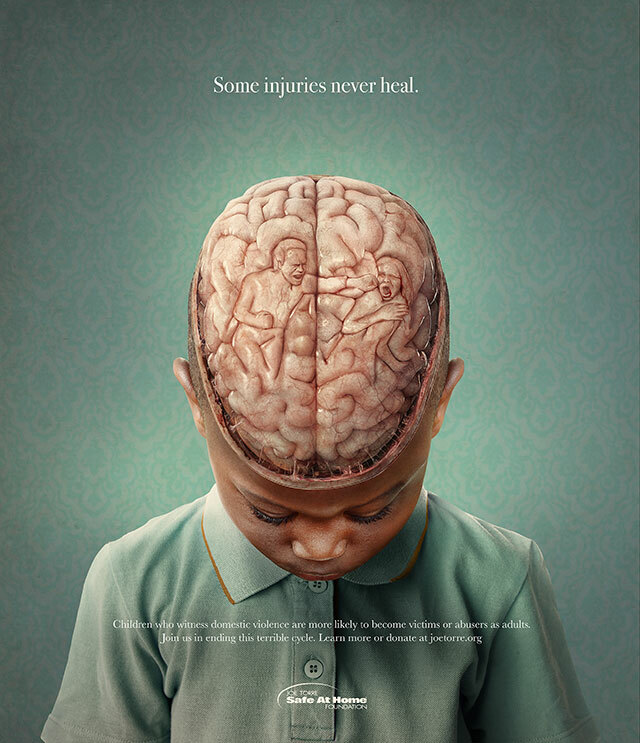 The print ads, which are appearing in publications like the Wall Street Journal, join a TV spot from the same agency, launched earlier this year. In that, a young man sits in the back of a car, echoing an older man berating a woman on the phone from the driver’s seat. As the camera pans, it reveals the young man is actually a little boy—internalizing his father’s screams, and at risk of repeating them later in life.